Allison from A Glimpse Inside here again and it is the final Must Have Craft Tip and More post of 2016!! Where has this year gone?! Cleaning your house is always a daunting task if you don’t stay on top of it. 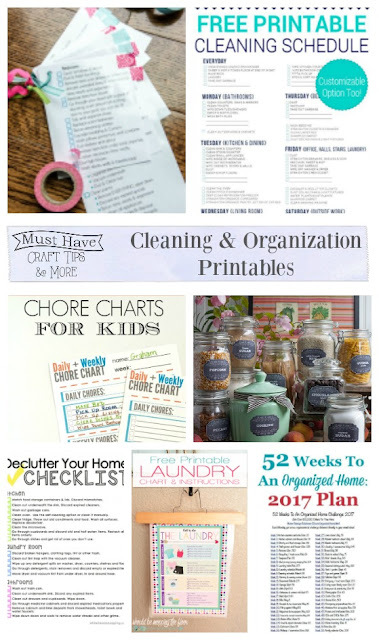 I’ve gathered some printables that will help you stay on top of your house, keep you on track, and relieve a little bit of stress in your life. 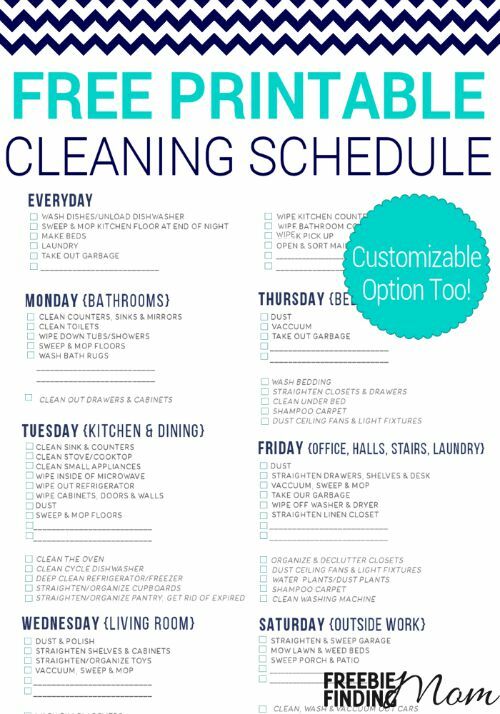 If you clean a little bit every day it can keep you on track but just in case you don’t have time to do that, use the weekly schedule to stay on top of your cleaning. 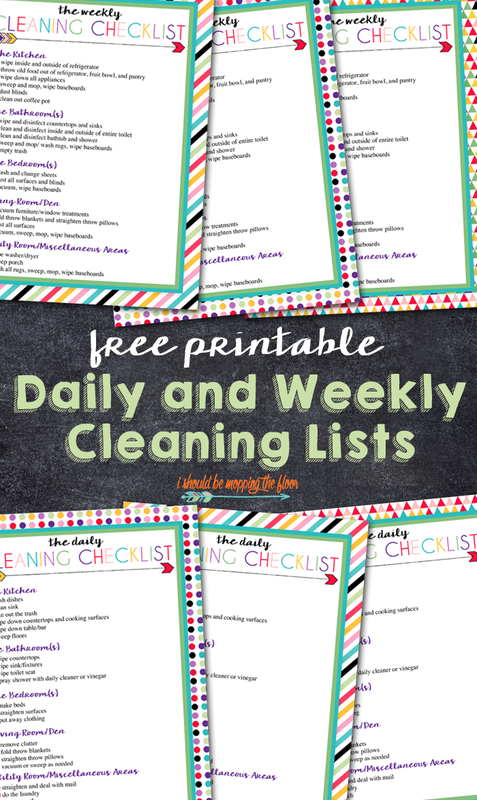 I love that this printable from Freebie Finding Mom and the fact that it gives you tasks to do everyday and also breaks it down by day of the week tasks. It is easy to read and and breaks it down by rooms so you aren’t overwhelmed by tackling multiple spaces at once. Get your kids involved by creating a easy to follow chore chart for them to to daily or weekly tasks. 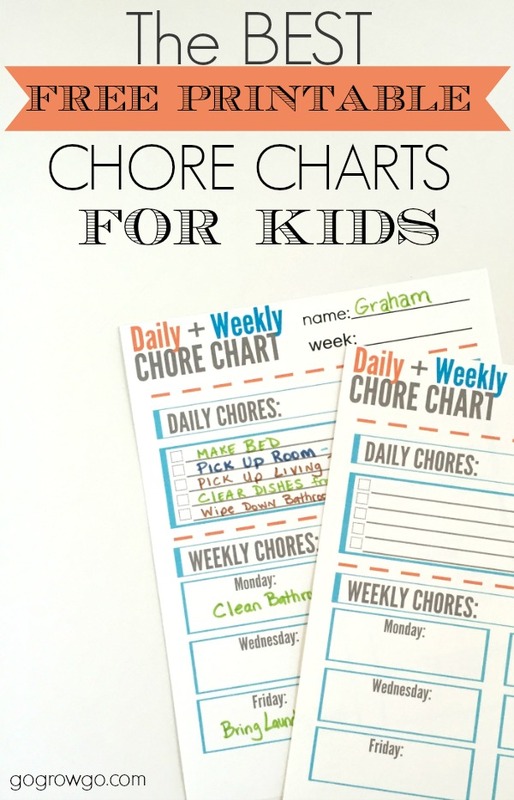 This Chore Chart from Go Grow Go is perfect to get your kids in on the cleaning too. 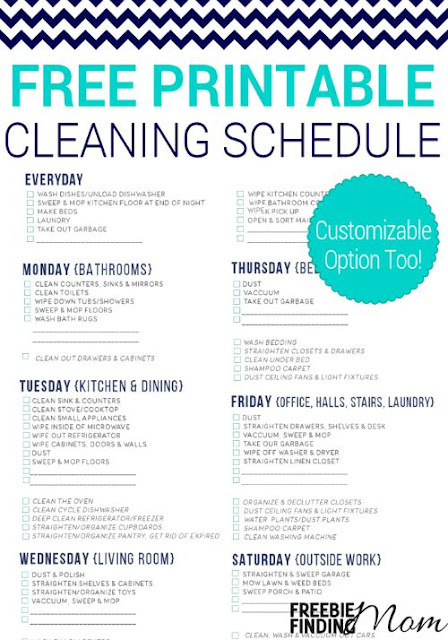 So you tend to clean weekly but need help on keeping up with the monthly, quarterly or items you clean annually. These Cleaning Checklists from Homeschoolin’ Mama will do just that for you. 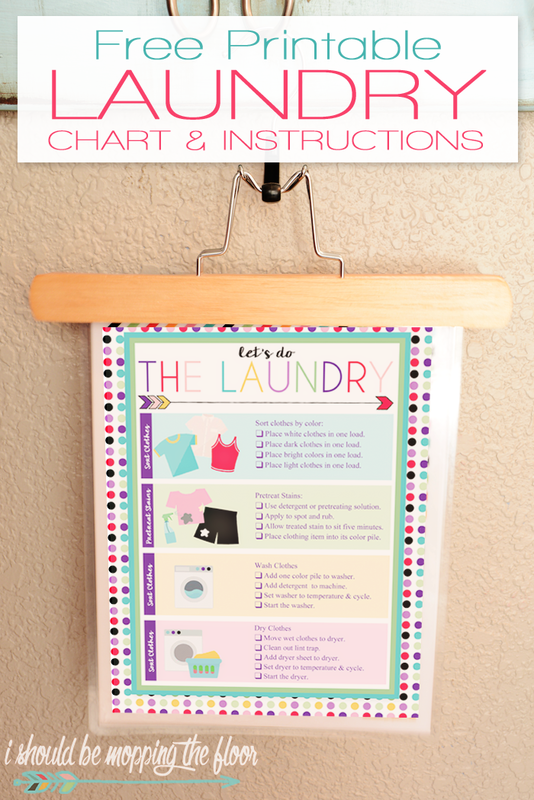 Keep all the laundry in check with this Laundry Chart from I Should be Mopping the Floor. It is also perfect if you have teenagers in your house and you want to start to teach them how to properly wash and dry their own clothes. So you have all these printables to keep you on track with your cleaning schedule but now you have all these papers making a mess and you need to keep track of. How about creating a Cleaning Binder like this one from Clean and Sensible to keep all those papers in one place? Want to give your house a good top to bottom cleaning but not sure where to start? 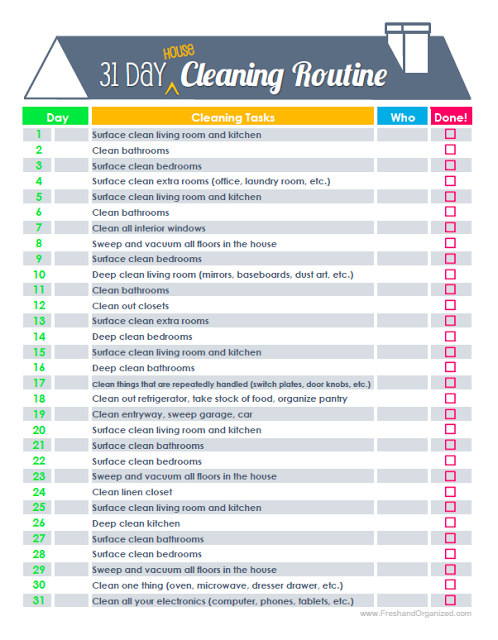 Use this 31 Day Cleaning Schedule from Fresh and Organized to work your way through your house and hit zones you may not think about when doing normal everyday cleaning. Now that you’ve gotten on a good cleaning schedule, let’s talk about ways to declutter and organize the items left in your home. Start by decluttering your entire house one room at a time. 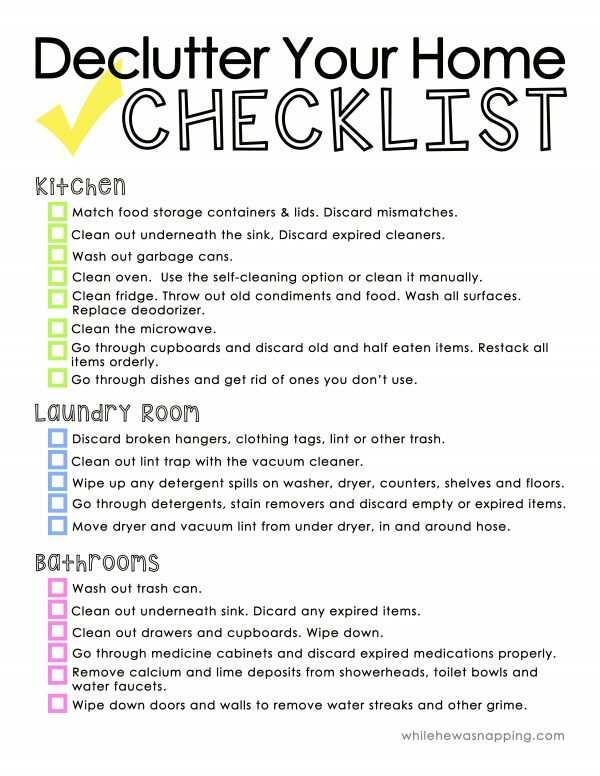 This printable checklist from While He was Napping for Ask Anna will help you work through your whole house and declutter and clean as you go. 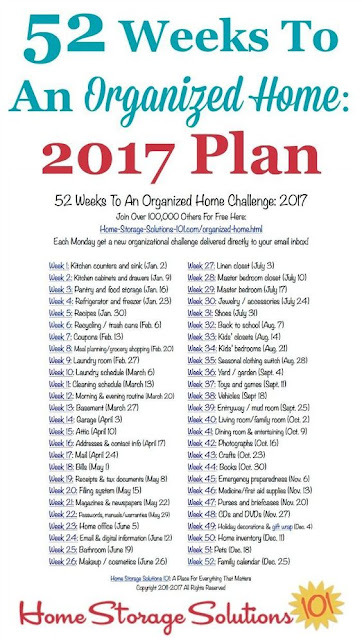 Want to organize your home or life better but just don’t have a lot of time to tackle it all at once? Follow this 52 Week Schedule fro Home Storage Solutions to work at it one week at a time through the whole year. 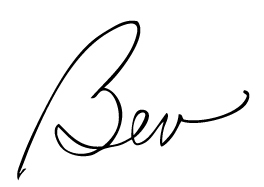 What if you REALLY want to declutter and get serious about what actually stays in your home? 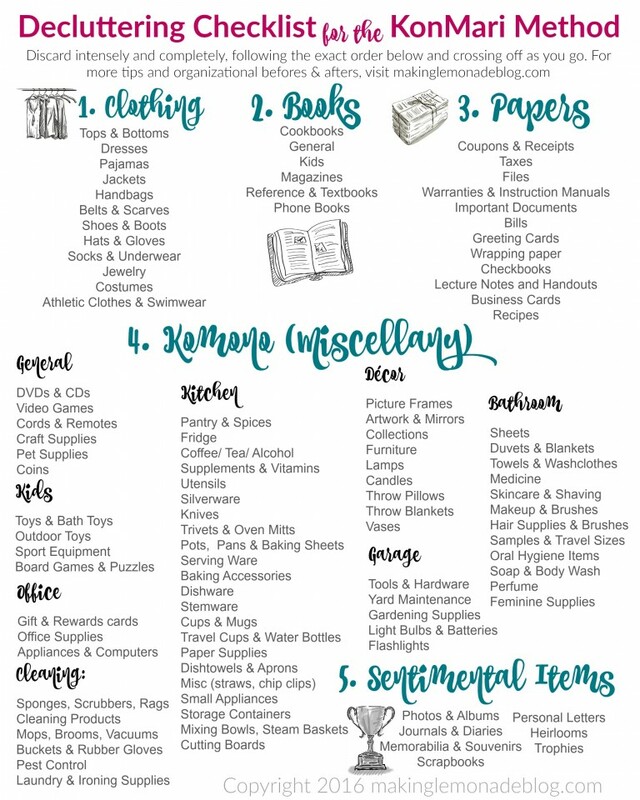 Be sure to print out this printable checklist from Making Lemonade using the Konmari Method. 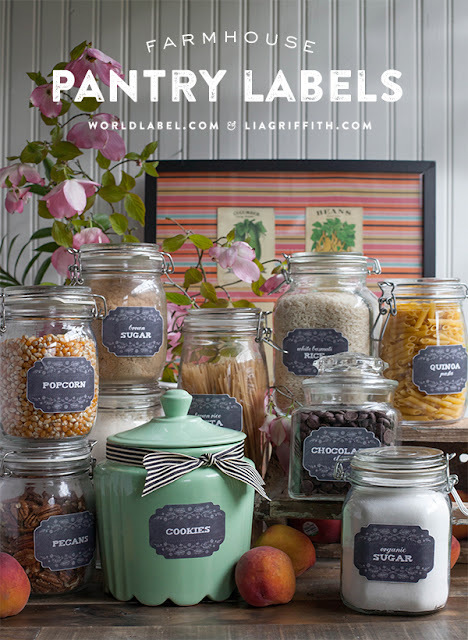 And now that your house is decluttered, let’s use labels to stay organized. 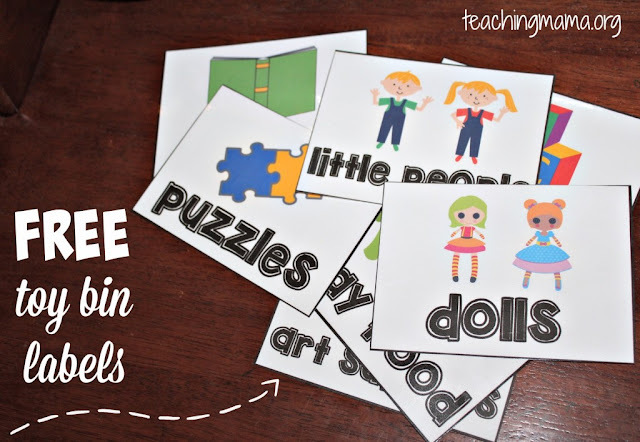 If you have young kids, print out these Toy Bin Labels from Teaching Mama to teach your young ones how to properly clean up and stay organized. 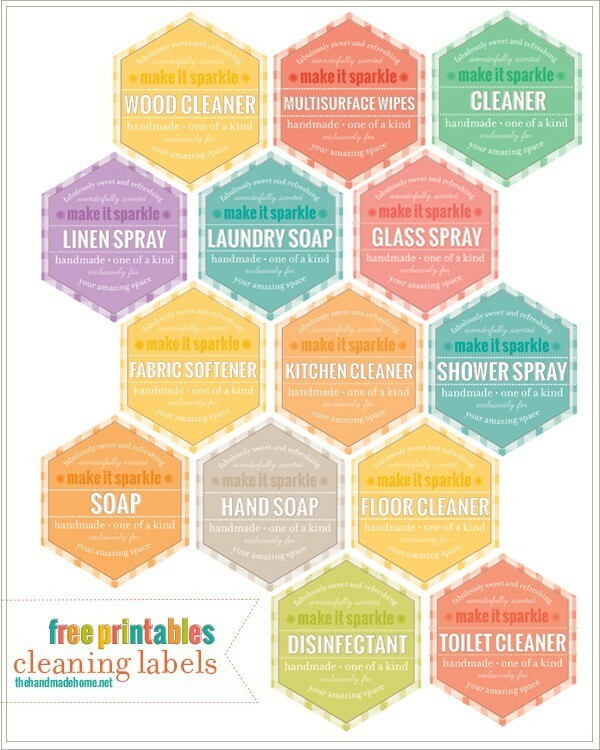 Do you create your own cleaning products? Print these Cleaning Labels from The Handmade Home to keep everything properly labeled and uniformed looking. 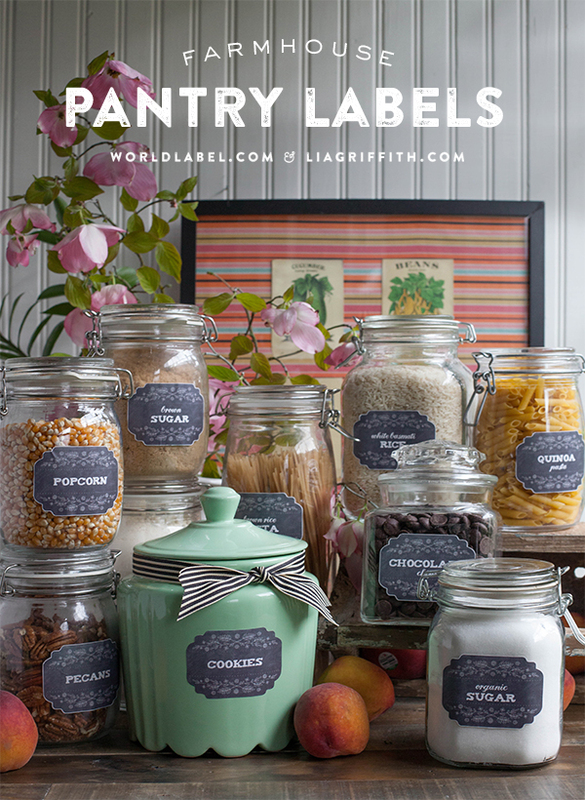 Get that pantry organized with these beautiful editable Farmhouse Pantry Labels from World Label. 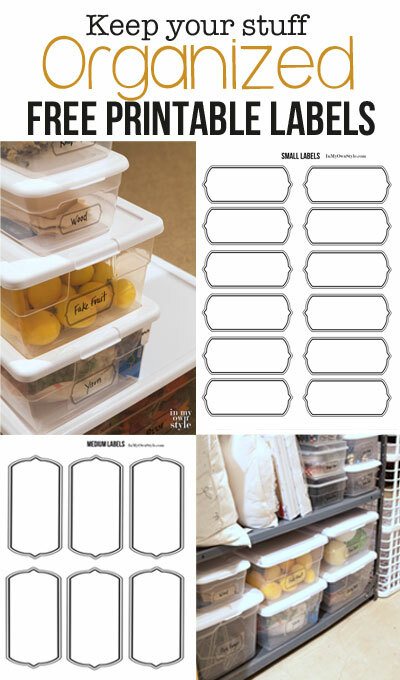 And lastly, keep all those storage bins labeled by using these Printable Labels from In My Own Style. Mark them with what’s inside and you don’t have to rummage through each bin to figure out what’s inside. 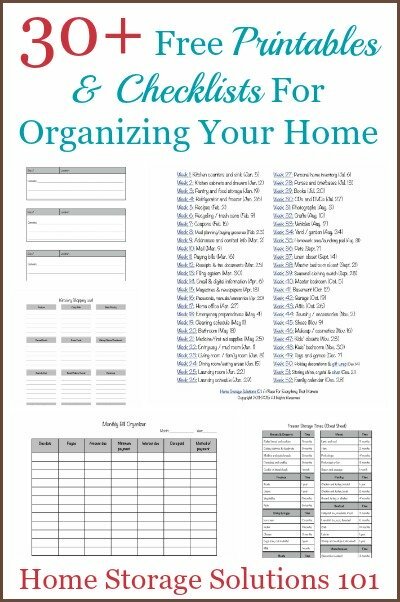 One more item that will help organize all aspects of your life and home. 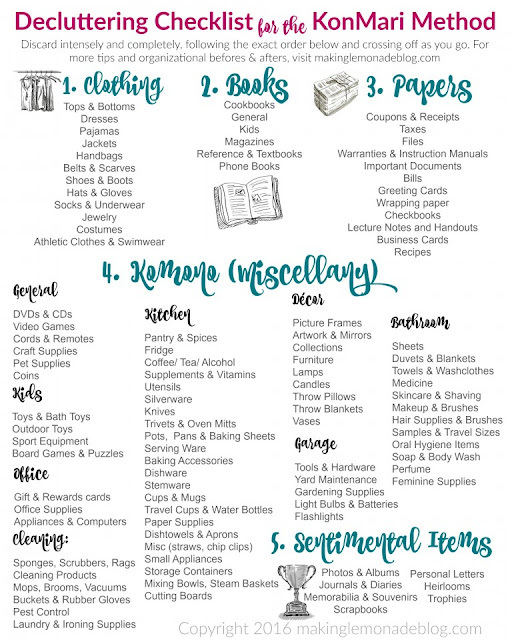 This checklist from Home Storage Solutions has everything from Grocery Shopping Lists, Inventory Lists, Contact Information, and much, much more. I hope that some of these printables come in handy for you in the New Year! Also, we hope that you all have a very Merry Christmas and a Happy New Year! We’ll see you in 2017 with all new tips!